Starcom Singapore has made three key hires and appointments. Youli Hooi marks her return as director of growth and product. She spent four years with the agency in Kuala Lumpur as executive director of human experience strategy and content solutions before the recent two years as National Marketing Manager of Fitness First Malaysia. Her new assignment and relocation to Singapore will see her working on new business growth, as well as driving the agency’s recently deployed strategic planning “HX” framework with client teams and partners. Jonathan Rathbone joins the agency as associate director of TAAG (Technology and Activation Group), and will focus on leading the strategy and adoption of measurement platforms for specific global and regional hub clients based in Singapore. Rathbone comes from iProspect (Dentsu Aegis Network) where he was driving regional ad-ops, implementing workflows, and integration of platforms & teams. Rathbone’s role complements the increasing need for greater sophistication in campaign measurement and optimisation, further fuelled by third-party technology activation to observe Viewability, Verification, Fraud, and Brand Safety requirements for brands. Brenda Chuah who has been with Starcom for the last seven years, has been appointed director of growth and transformation. Chuah will focus on delivering new thinking and capabilities to existing marketers while drawing from the expertise of key Practices under Publicis Media. Starcom’s transformation agenda for marketers reflect critical pivots toward greater data-driven approaches through programmatic buying, agile and dynamic content, performance marketing, e-commerce solutions, and adoption of new technologies such as Artificial Intelligence and Augmented Reality. “As our market environment gets increasingly complex and at times frustrating for brands, all of us at Starcom should delight with answers that are delivered with human authenticity and simplicity. 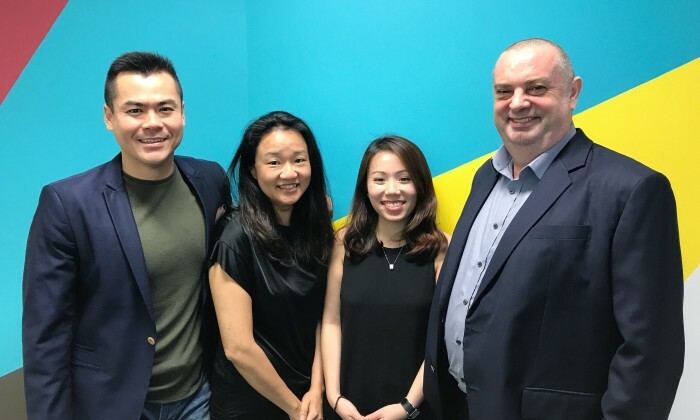 I’m extremely excited to work with the three of them in their new roles, along with many other leaders and colleagues at our Human Experience Agency to meaningfully impact businesses,” Ian Loon, managing director, Starcom Singapore said. All three individuals report into Loon. The brand has since apologised. .. The team of 15 is overseen by its China MD, Pete Lin, who also heads up the Shanghai office. ..
Casino operators in Singapore will now be required to seek approval for all advertising and promotional activities, under new gove..
Cadbury Dairy Milk Hong Kong has embarked on experiential marketing with a new campaign riding on its branding platform "Choose Yo..
A leading English language newspaper under the Sing Tao Group, The Standard helps clients reach an extensive, quality readership a..